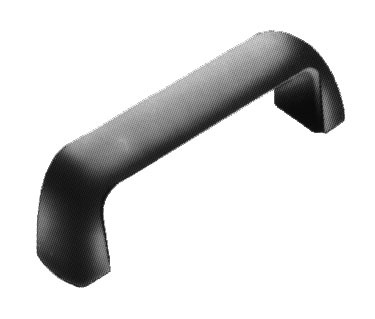 Ergonomic styling at its best, this plastic cabinet "U" handle is a top quality yet economical solution for most any application. Maximum heat resistance of nylon plastic: 100° (230°F). Various metric and inch size fasteners and kit packaging available upon request. 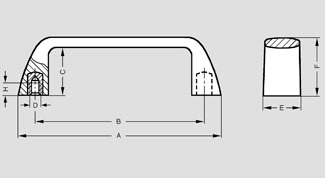 Metric size tapped inserts available upon request.